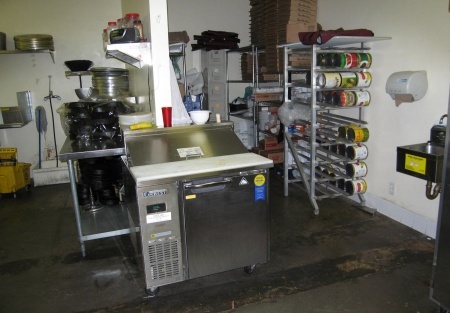 Carry out pizza and sub franchise in densely populated San Fernando Valley, built from scratch 3 years ago. 1150 sq ft at $1532 rent with 2 years remaining, no CAM. Owners consolidating business decided to sell. Inside seating available and plenty of parking space. Take the next step to register and complete the online confidentiality agreement to get the restaurant name and address. Also you'll be given previews to our new listings in the future, giving you the greatest chance to �scoop in� the best opportunities as they become available. This is a a Paramount Restaurant Brokers, Inc. listing.